Greetings from your WoodWeek news team. Wow, is it hot out there or what? The combination of the high winds earlier this week and now extremely hot dry weather will be shortening the work day for many loggers – as the fire risk goes sky high on both sides of the Tasman with this hot spell of weather. Meanwhile, in China their forestry sector output is hot too – it reached 7.33 trillion yuan (about 1.1 trillion US dollars) in 2018, 2.88 percent up from than in 2017. 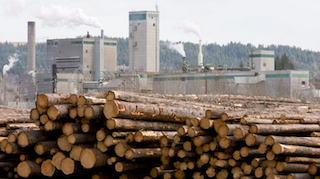 Looking to Canada, a recently elected British Columbia government has just announced plans to change log export laws to keep more logs for processing in their province. The government is the major owner of the forest resources there. Looking to compare the NZ and BC forest sectors to put the planned change into perspective: log exports from British Columbia from 2013 through 2016, volumes shipped out of BC were about 26 million cubic metres, valued at an estimated NZ$3.3 billion. In comparison, New Zealand log exports were running at about NZ$2.5 billion per annum back in 2016. Forestry is also getting attention from the Irish government. There they plan to invest €250m in major expansion hoping industry to add 6,000 jobs as turnover doubles to €1.6bn. 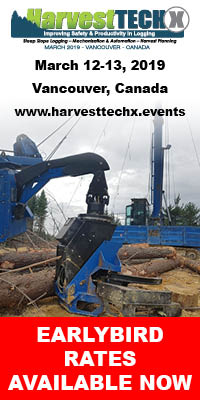 Moving on to one of our upcoming events which draws a wide technical and management audience from across the primary industries – it’s all about how technology is a necessity in our businesses. 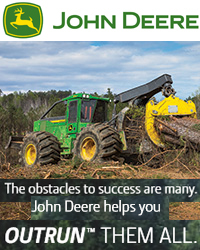 While farmers, foresters and horticulturalists continue to integrate new digital technologies into their businesses, this data reliance does bring with it new vulnerabilities and risks. The next generation of producers are doing away with basic spreadsheets and building their businesses using a real-time data streams and cloud-based platforms for analysis and storage. In the past, a simple computer backup was, in many cases, all you needed. It has now been replaced by a complex web of data-points, data validation, storage, security access and data control. While this may not sound as exciting as a topic like artificial intelligence or robotics, in today’s new world, it is increasingly becoming an essential requirement for any successful business strategy. A key focus for this year’s agritech event, MobileTECH 2019, is the importance of smart data and how to ensure it is working towards the right outcomes. Putting carbon back into soil - In a world having too much carbon in the atmosphere and obsessed about expensive and dangerous technologies for it’s removal, it is comforting to know that a form of charcoal has now been accepted by the IPCC as a useful tool in the fight against climate change. A growing number of New Zealand farmers are becoming interested in making and using biochar, leading to a new organisation is being formed, Biochar Network New Zealand (BNNZ), which will have its Inaugural General Meeting in Pukekohe on 14 February. The BNNZ IGM will take place at 10am on 14 February 2019 at the Reid Anderson Lounge, 18 Wesley Road, Pukekohe. The famous Eisenhower Tree, on the 17th hole of the Augusta National Golf Club, was the bane of President Eisenhower. He hit it so many times while playing that he asked the club to cut it down. To avoid offending the president, the club’s chairman abruptly adjourned the meeting, rather than reject his request. (In 2014, the late president finally got his wish when an ice storm damaged the tree so badly, it had to be removed.) Loblolly pine seeds also travelled aboard Apollo 14 and were planted all around the country upon their return, including on the grounds of the White House. Some of these moon trees still survive. 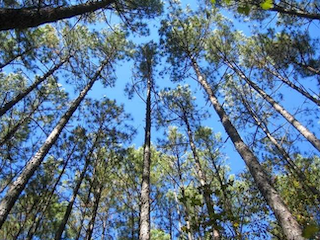 Currently, only two industries generate commercial value from pine trees—lumber and paper. Thus, in conducting their experiments, “we were thinking about how we could decrease our reliance on fossil resources while increasing the use of renewable resources,” Lange said. The State’s forestry industry is likely to invest around €250 million in coming years as it prepares for a period of major expansion. A new trade body, Forest Industries Ireland (FII), predicted yesterday that supplies of timber will double up to 2035, boosting turnover to €1.6 billion from €800 million and adding 6,000 jobs to its current 12,000. Speaking after the body’s launch, Fergal Leamy, chief executive of State forestry company, Coillte, pointed out that the sector has invested €250 million over the last three to four years. “I would say that there will probably be the same amount again invested in the next few years,” he said, adding that it would be needed to process increased production from Irish forests. FII predicts that production will double to 6.6 million cubic metres of wood in 2035 from 3.3 million in 2017. Coillte now supplies 51 per cent of this, while 21,000 private growers accounting for the balance. Forests planted with the aid of incentives introduced in the 1980s and ’90s are maturing, increasing overall production. Mark McAuley, director of FII, which is affiliated to employers’ body Ibec, explained that production is heading for a high point in coming decades, when it will level out. According to Mr McAuley, Brexit is the main immediate challenge facing the industry as Britain is its main overseas market. Michael Glennon, joint chief executive of Longford-based sawmill group, Glennon Brothers, explained that half the timber produced and processed here is exported, with 95 per cent of that going to Britain. He pointed out that the industry fears the impact of delays at Irish and British ports, as timber is delivered to customers as they order it. “Logistics is the key issue for us,” Mr Glennon said. This invite is directed to all timber design engineers in the Canterbury region. The deadline for public comment on NZS AS 1720.1 Timber structures is approaching fast (9 February). In order to encourage you to read and comment on the draft, Björn from EngCO and Daniel Moroder have decided to run a small workshop on the new standard on Thursday evening, 31 January. Let's meet at 5.30 pm for a 2 hours workshop, no social part this time. Location will be announced once we know numbers. Please RSVP to [email protected] by Wednesday 30th. Please have a look at the draft, so that we can have a solid discussion on what this new standard will bring. In the 2018 Inmarsat Research Programme global report, ‘Industrial IoT on Land and at Sea’, 98% of agricultural companies said that they had security concerns around data and the use of IoT. Security was one of the main factors hindering use of data, with 36% reporting that insecure data storage and transmission limited how effective it was. Only 34%, however, had moved to improve the security of physical assets like sensors and just 25% invested in new security technologies. Nicolas Erdody is founder and CEO of Open Parallel and one of New Zealand’s foremost experts on next-gen computing technologies and how they will impact the whole high-tech production chain - with cybersecurity being a core component. Mr Erdody has also been part of the global team designing the computing platform of the Square Kilometre Array radio-telescope (SKA), one of the world’s largest supercomputers and the ultimate big data project. At MobileTECH 2019 he will be discussing the above questions so primary producers can securely rely on data and take the adequate decisions on issues like water management, precision agriculture and supply chain distribution. 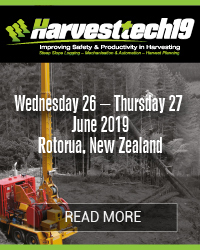 MobileTECH 2019 is running on 3-4 April 2019 in Rotorua, New Zealand. It’s the country’s annual agritech event where tech developers and early adopters from around the region meet to discuss the latest digital technologies impacting on our food and fibre sectors. Further details can be found on the event website, www.mobiletech.events. 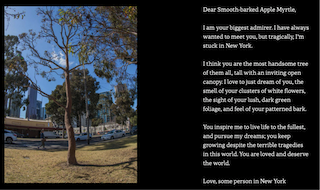 People from all over the world are sending emails to Melbourne’s trees – The city of Melbourne gave 70,000 trees email addresses so people could report on their condition. But instead people are writing love letters, existential queries and sometimes just bad puns. As a potential juror in an assault-and-battery case, I was sitting in a courtroom, answering questions from both sides. The assistant district attorney asked such questions as: Had I ever been mugged? Did I know the victim or the defendant? The defense attorney took a different approach, however. "I see you are a teacher," he said. "What do you teach?" "English and theatre," I responded. "I guess I better watch my grammar," the defense attorney quipped.